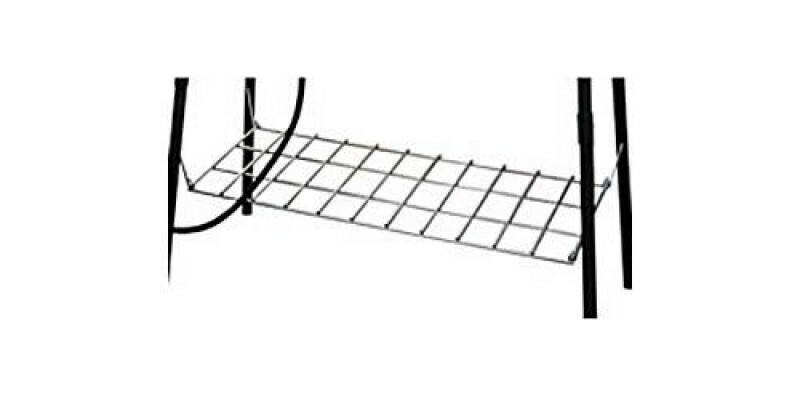 Camp Chef Utility Shelf for 3 Burner Removable Leg Stoves is rated 3.0 out of 5 by 2. Rated 3 out of 5 by JR from Shelf stays hooked I have 2 Big Gas Grills and bought a shelf for each. I store the griddle or BBQ grill on it, whichever I am not using at the time and it really saves me space. I have never had the shelf come unhooked as did the earlier reviewer. I would recommend it. I thouhgt it was about $10 over priced but still bought it.